So wrote Jeffrey Sonnenfeld in the Harvard Business Review. And he’s right, but while more and more attention these days is paid to the qualifications of senior management to carry out their responsibilities, there has never been any formal qualification required to run an organisation. And none to be a director. This gives rise to the importance of director training. Successful governance depends first and foremost on the skills, dedication and integrity of the company’s leaders.And the heart of sound corporate governance lies in the boardroom with directors’ responsibility and accountability. Directors and senior management therefore need to fully understand the underlying principles of good corporate governance. They need to understand best practices and how to adapt and implement them in their organisation. Boards also need to ensure the development of a business culture that is conducive and receptive to sound business principles. A sound corporate culture is essential. The tone starts at the top and boards must be concerned with the reputation of their institution. The awareness of the importance of corporate governance must permeate all the way through the organisation and boards must ensure that good policies and procedures are in place to prevent and detect any violations of regulations. And the role of the chairman of the board is crucial. Chairmen need to understand that their role is to lead the board; to facilitate board decisions and board dynamics. Their role is not to manage the company. I see many boards that could be so much more effective if they had proper corporate governance practices in place. Apart from anything else, busy directors benefit from good governance, from efficiently run board meetings, good board and committee processes and keeping up to date with the latest director trends. Commenting on the VW emissions scandal, governance advisor Seamus Gillen observed “Companies don’t fail – boards do.” So, if you believe that prevention is better than cure, including knowledge of the principles and the practice of corporate governance, director training is essential. 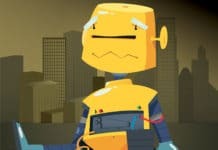 The role of the director has evolved. Companies operate in more and more complex globalised business environments. So, it is only right that directorship has finally begun to be seen as a profession, or at least a discipline, requiring specific professional training and development. Director training and board induction should be mandatory. For the developing countries in the Arab region, the importance of good corporate governance is a key consideration. It is an important part of our individual national visions. And it is a sine qua non if we are to attract more foreign direct investment. The implementation and the maintenance of sound corporate governance practices and structures at every level of our societies is imperative for the continued well-being and development of our economies. These workshops are based on our competency matrix of the six pillars of board effectiveness – see the graphic below. In addition to the above workshops, GCC BDI offers a range of other workshops to broaden and deepen directors’ knowledge and skills. We believe that professional director development is not just a one off, but a continuing programme of honing skills and updating knowledge mixed with practical boardroom experience and application. So, our programmes offer directors the opportunity to share knowledge, experiences, effective practices and challenges faced by their boards as well as network with like-minded individuals in an informal environment – either an open workshop where they can also network or in the privacy and confidentiality of their own boardroom. Director coaching is also becoming popular and helps to bring out the best in individual directors to enable the board to work better as a team. Executive coaching for directors is usually based on one-to-one coaching to help individual directors address specific professional development issues or assist them in taking on a new role. It is particularly relevant for new or prospective directors, for non-executive directors and as part of a board development programme. Improving the effectiveness of the board is a priority for leading organisations everywhere. The heightened level of accountability and responsibility, which requires boards to improve their own performance, means that boards need to carefully review the board’s roles and responsibilities and then determine whether it is performing adequately to protect the interests of all stakeholders. So, board evaluation is a key activity for the board. The purpose of the exercise is to ensure that boards are staffed and led appropriately; that board members are effective in fulfilling their obligations; that reliable processes are in place to satisfy important oversight requirements; and that key board activities are being addressed. Evaluations should take into account context, key issues and sensitivities as well as performance. For a board that is tackling an evaluation for the first time, it is best to start with some general discussion at the committee level and then follow this at board level. Board evaluation is not a one-size-fits-all proposition and needs to be tailored to the culture and goals of a particular board and company in order to be effective. The key to success is for the board to be actively engaged in the assessment process. It is equally important to be clear about the objectives in the assessment process and what they really want to accomplish. Survey: Any survey should be carefully tailored and designed for a specific company and its board and be constructed by drawing from the corporation’s bylaws, committee charters, the roles and responsibilities of directors and corporate governance guidelines. The survey should produce reliable results and feedback is usually presented in the context of a goal-setting process with the board, intended to improve performance and educate the board. Interviews: Interviews of the board often are used prior to a board assessment – particularly where boards have not previously done an evaluation – to gain an understanding of the issues on directors’ minds. Typically, an outside facilitator interviews directors individually, using a structured questionnaire that takes into account the company’s bylaws, charters, guidelines and codes of conduct and ethics. Based on the results of the interviews, the governance committee provides anonymous feedback to the board, often in the form of a narrative report that is organised thematically, according to key areas for board improvement. Group evaluation: During a group evaluation, a trained consultant engages the board and the CEO in an interactive dialogue. Working against a backdrop of general best governance practices and the specific bylaws and guidelines for the company, the discussion focusses on how a board can improve its performance. This approach works best when directors are able to talk candidly and openly and have a limited amount of time to devote to the process. Once again, feedback is geared to setting goals for the board to improve its performance and the real value of the assessment exercise is derived through the final session when the board evaluates the findings and discusses what measures, if any, to act upon. Boards should view evaluations as a valuable opportunity to refocus on critical issues and improve performance. Of course, evaluations on their own are not enough and need to be followed up to have the maximum impact. This includes engaging directors in discussion about the results, following through with a plan of action for addressing points that arise from the discussion and assigning follow-up responsibilities to the governance committee or the board chair. In order to be truly effective, board evaluations should be done on a consistent annual basis. Board evaluations will and should change somewhat from year to year; priorities may shift, depending on the critical issues facing the board. Questions should be relevant to the board’s current tasks and should be based on the needs of the board at the particular time when the evaluation is planned. Moreover, questions should be targeted to focus on areas of board performance, not CEO and staff performance, which also are essential exercises, but discrete ones from evaluating the board. The prime objective of board evaluation is therefore to improve the performance of the board and the company. Assessment is merely the tool. 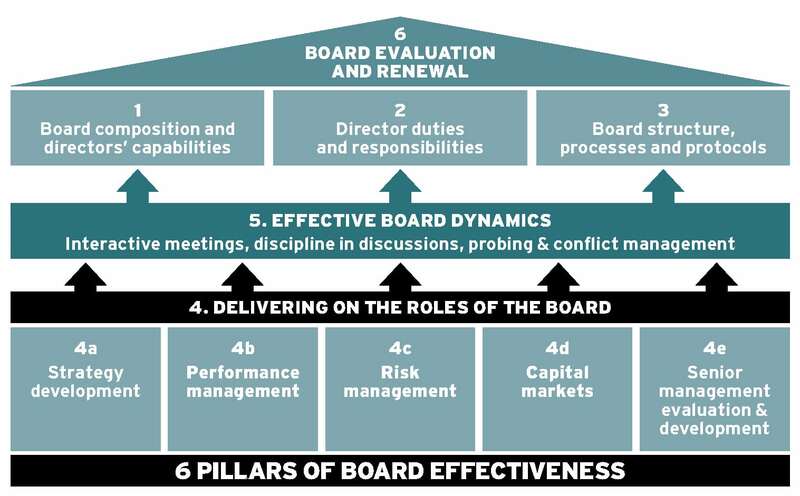 A well-planned and well-executed board evaluation that focusses on the unique culture, bylaws and needs of the board can reveal issues that hinder optimal board performance. Identifying and addressing these issues and reinforcing the appropriate board roles and responsibilities, can yield significant benefits to the board, the company and all stakeholders. GCC BDI’s proprietary board evaluation tool assesses the effectiveness of boards based on our six pillars of board effectiveness and combines a survey as well as one-on-one interviews – all conducted in a non-attributive and confidential manner – to produce a fact-base and a road map of improvement opportunities. 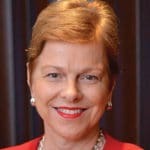 High-performing boards will focus on a common set of tasks, which include responding to executive strategy and contributing to rigorous debate, monitoring the implementation of the strategy through the operational plans, overseeing the quality of leadership and management, ensuring that individuals are developed and that effective succession plans are in place, maintaining a governance framework that adds value to the business and safeguarding and enhancing the company’s values and reputation. The board evaluation will help the directors to take a step back and appraise all these questions. The board of directors has to understand that the buck stops with them. They have to live up to their duties and responsibilities. It is this corporate leadership that will ensure full confidence in our capital markets. Why would you not want to evaluate your board and see how they can perform better? Jane Valls joined the GCC Board Directors Institute (GCC BDI), based in Dubai, in January 2016 as Executive Director. GCC BDI is a not for profit company founded in 2007 with the Mission to improve corporate governance and professional directorship in the GCC. The founding fathers – Saudi Aramco, SABIC, Investcorp, Emirates NBD, McKinsey, PwC, Heidrick & Struggles and Allen & Overy – continue to support GCC BDI today and form the Board of Governors. 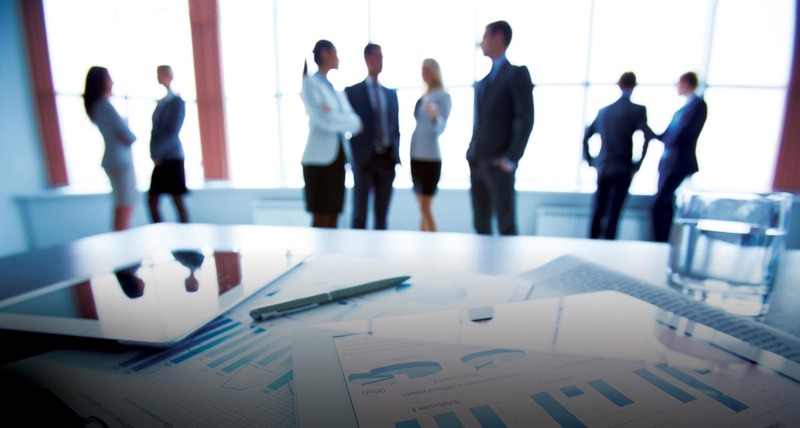 GCC BDI runs open and tailored workshops for board directors, conducts board evaluations and corporate governance assessments as well helping companies to implement their corporate governance and board effectiveness frameworks. GCC BDI now has a network over 700 senior board directors who have been through its workshops and board evaluations and this group is probably one of the most influential networks in the GCC. Jane has over 15 years of international experience in corporate governance and working with board of directors. She is an accredited Corporate Governance trainer with the International Finance Corporation (IFC), part of the World Bank Group, and is an accredited trainer with the Ethics Institute, as well as being a Certified Ethics Officer. From 2010 to 2015, Jane was the CEO of the Mauritius Institute of Directors (MIOD), one of the leading Institutes in Africa. She was the first Chairperson of the African Corporate Governance Network from 2013-2015, a network which she helped to found, bringing together 17 Institutes of Directors from across the African continent. Jane holds a BA Hons in French and Italian from Birmingham University, UK.